We've all know people who love to take their single-engine GA plane into the Idaho backcountry to try and slip into some of the famously difficult dirt and grass strips nestled along pristine streams loaded with trout. We've seen the photos, a little patch of nothing between the trees, with a windsock as the only clue this is an actual air strip. But when you get right down to this type of flying, it is no place for shabby, sloppy airmanship. The pilots who are smart aviators go up there and get the specific training needed to keep from piling your bird into the trees. 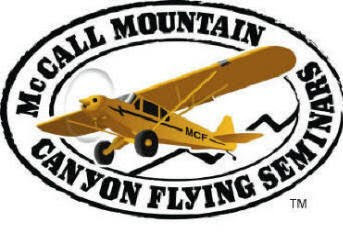 I wanted to share that I did take the four day ground/flying course in my T210 with Lori MacNichol, owner of McCall Mountain/Canyon Flying Seminars. There were six of us and six instructors, and we got very good instruction. Lori flew with me the first day and, having a lot of T210 time as a former McCall Air Taxi pilot, she knew the plane. We spent the first 90 minutes establishing various speeds and configurations, and, the primary one is the one known as “canyon flying configuration”. In my plane, 17” MP, gear up, 10 degrees of flap, yields level fight and 85 kts. That is used to cruise the canyons. Once a strip is identified, we move to a gear down configuration, same speed but 20” MP, level flight. Just knowing what to expect on base and final with various flap and power settings takes much of the guess work out of the descent and approach, and believe me some of these approaches are very different. Lori teaches the “emergency canyon turn”, not only to get turned around in a blind canyon, but to use as course reversal. The procedure is to be at canyon flying configuration, be heading towards the canyon wall at 90 degrees, and just seconds before hitting the wall, go full power, turn 45 degrees left or right, and, while making the turn, immediately put in full flaps. Once the turn is completed, remove most of the power and adjust the flaps. The result is a turn that is like a ricochet…never seen anything like it. Radius is more like turning a car around in a parking lot. So, going into Indian Creek on the middle fork of Salmon, it is not possible to do a base and final. We get down to 800 feet off the right side of the canyon, almost in the trees and rocks, fly by the strip, move to the middle of the narrow canyon and in about a minute, the canyon becomes not as narrow and we turn to the right, heading directly towards the rocks and trees. Realize that the rim is hundreds of feet above me and there is no outclimbing the rim. As we approach the rocks, we do the canyon turn, and, once turned around, I come off most of the power but leave my flaps in because we need to come down 800 feet as we go downstream towards the strip, which, due to the winding, tight canyon, I cannot even see yet. 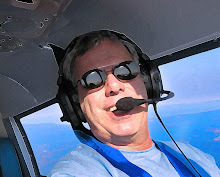 Airspeed control is essential and power is used to control the descent. As we work our way downstream, we eventually get aligned with the dog leg approach, clear the last trees, make a slight turn once we have flown the dog leg, and land. I did this approach three times and really got my confidence up. Many of the other approaches were not so difficult. Knowing the abort point, where to fly during the abort procedure is essential knowledge for each strip. We started our flying each morning at 06:30 and were back in McCall by 11am, then ground school from 1:15 to 5 pm. When I flew back home, I applied what I was taught and landed in 800 feet, stopped by the first taxiway. I cannot say enough good things about this outfit. The central part of Idaho has 4.5 million acres of rugged land, with over 80 strips. I'd like to get back over there in late July and go to either Stanley or Smiley Creek, easy strips in the wide valley of the Sawtooth range. There are lodges at Red Fish lake and horseback riding, good food, etc. I might also go into Indian Creek just to practice the procedure. See what I mean? I believe my friend made a very smart decision by obtaining this first-class training before trying to take his T210 into these short, unimproved strips. 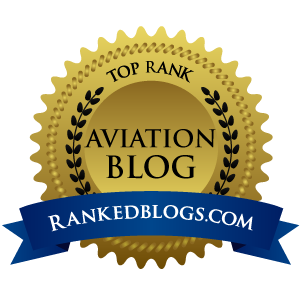 A Turbo Centurion is a LOT of airplane, and even with long runways and flat terrain, it demands the skills of a pilot dedicated to perfecting the fine art of flying by the numbers. So to take that same ship into a patch of ground hidden around a dogleg up a narrow canyon with unforgiving walls of granite on three sides would be INSANITY without the level of training like my friend received from MacNichol.